Eminem says that abuse and addiction to prescription drugs “wiped out five years” of his life. 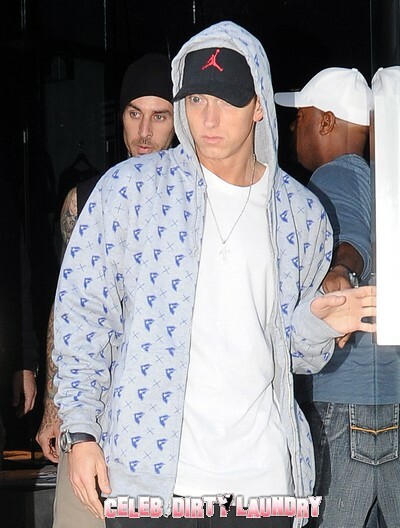 Eminem is still producing hits as ‘Love the Way You Lie’ proves but he claims that he is no longer abusing drugs. The rapper’s battle with drug addiction came to a head after his 2004 album ‘Encore’ and forced him to take five years off before starting his comeback. Eminem says drug problems were so intense that he has lost entire years of his memory. The 38-year-old rapper still wrote music during the heaviest period of his addiction, but admits that looking back over his words from that period is a difficult experience. Eminem’s drug problems began in 2002 when he made the semi-autobiographical movie ‘8 Mile’ and got worse on subsequent tours. Eminem looks like a success story in terms of beating drugs since he has been clean and sober since 2007.